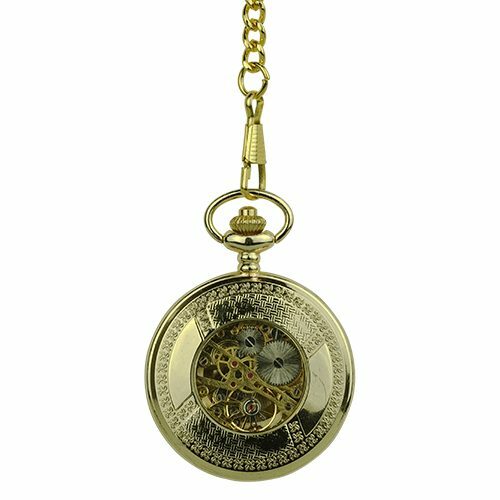 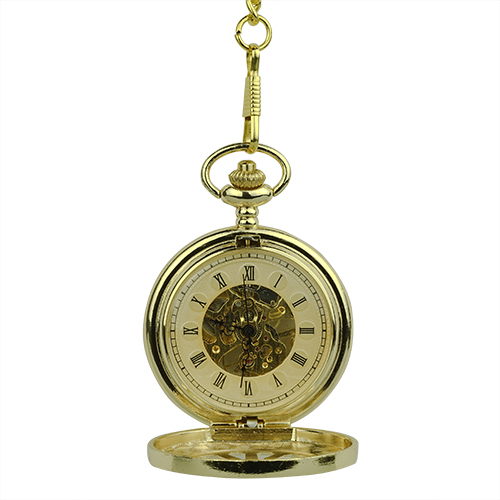 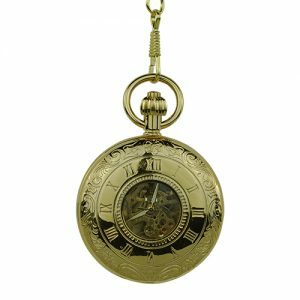 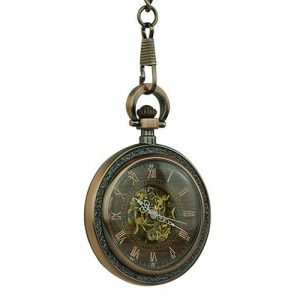 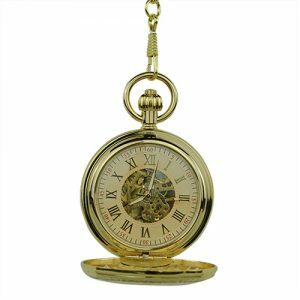 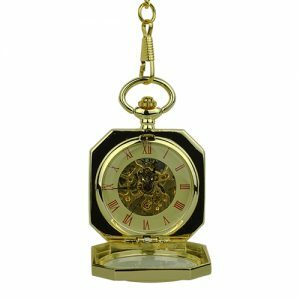 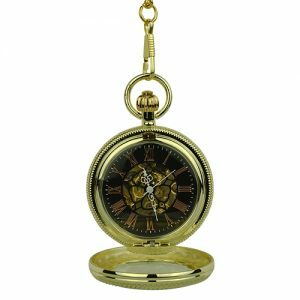 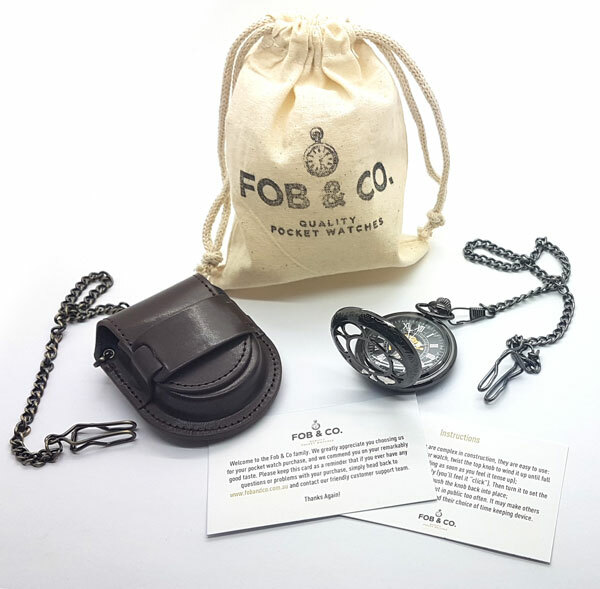 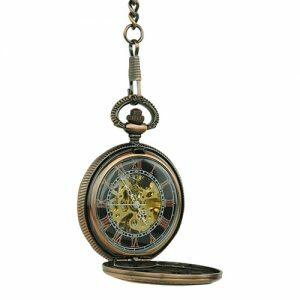 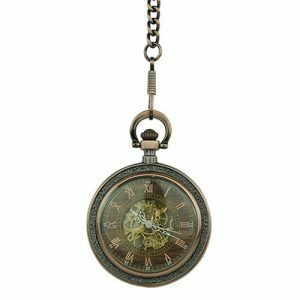 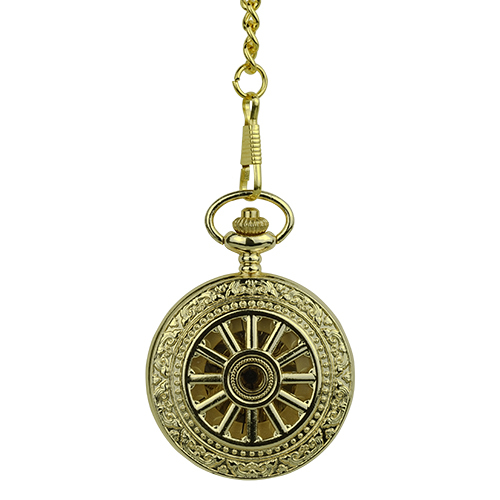 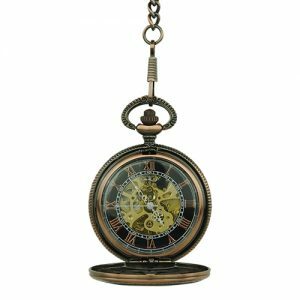 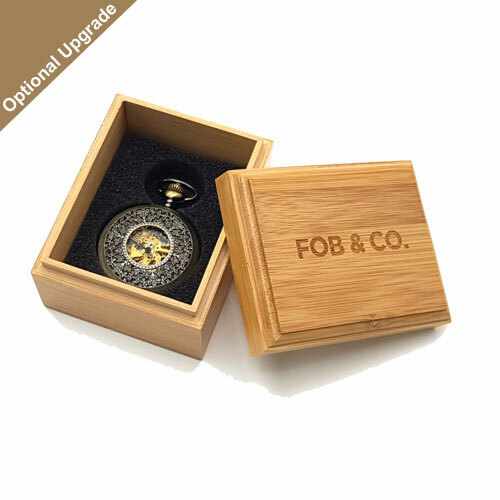 Baroque Vintage Tire Gold Tone Pocket Watch - Fob & Co. 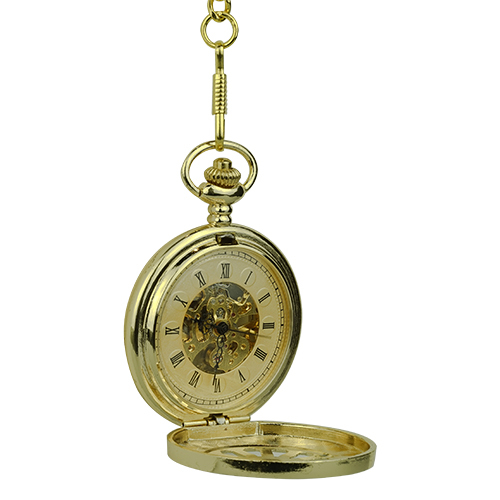 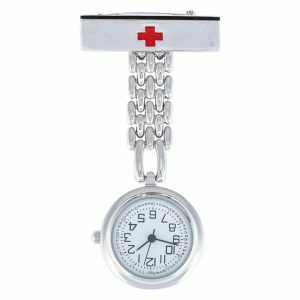 Capture the Romance of a bygone era when you wear this finely detailed timepiece! It features a vintage, tire rim themed cover that is embossed with a wave and dot pattern. 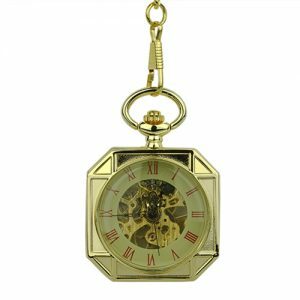 Take a peek inside to see the complementary colours of the gold ring background and the black Roman numerals highlighted by an intricate golden skeleton. 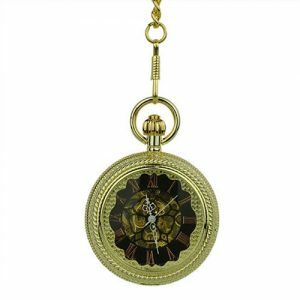 The back cover features a wonderful flower pattern and a window for more views of the handsome gold and silver combination of the inner workings.